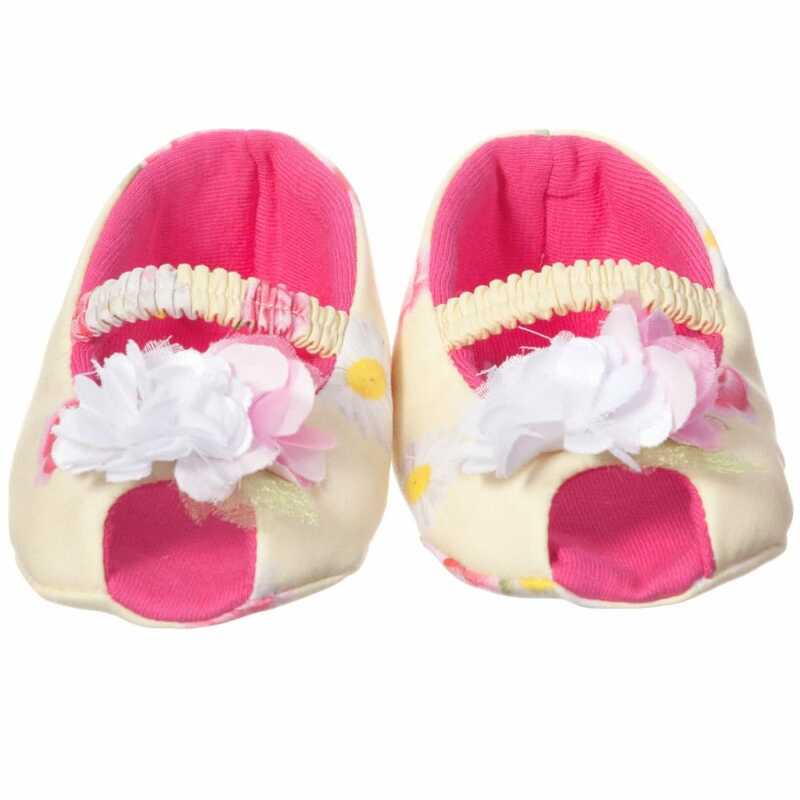 Ultra soft baby girls yellow pre-walker sandals by Monnalisa Bebe. Made in Italy. 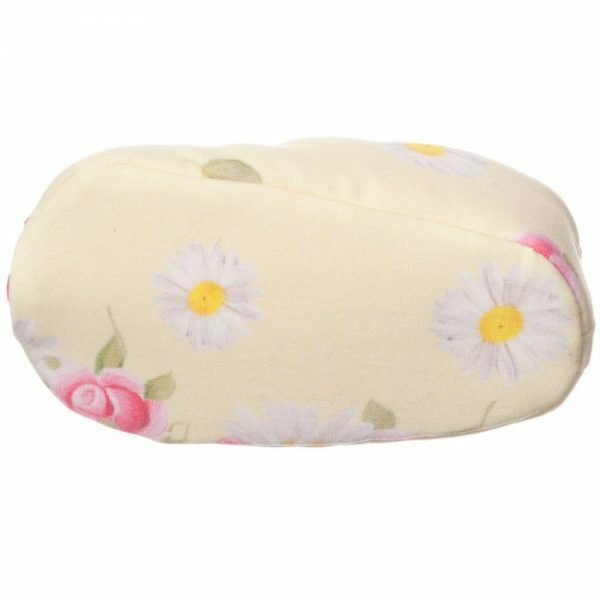 They have peep-toe design with an all-over floral print. Perfect choice for your baby thanks to soft cotton against the skin. Hand wash is applicable. 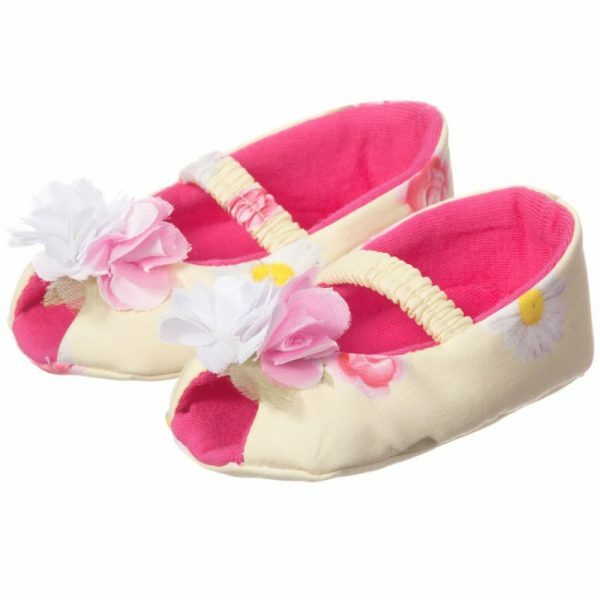 This item can be in different sizes for girls in the age from newborn to 18 months.